Remove the old toilet first. Remove water supply from the on off water valve. Remove the caps where the toilet meets the floor. Under these caps are what we call Johnny bolts. You must back the nuts off, most of the time you need to cut the bolts off. A electric sawzall, a hacksaw or what we call a jig saw, which is a mini hacksaw, the mini hacksaw is the easiest. Put new toilet bolts in the flange where the toilet is going to be set. Put the toilet down on the toilet bolts. Take a pencil and draw a line around the base of the toilet on the floor. 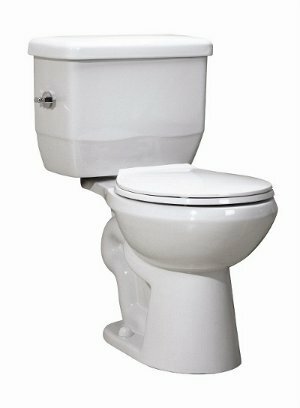 Pick back up the toilet and you have a outline of the toilet on the floor. Put caulk or plaster on the inside of the out line. Put a wax seal on the flange and you are ready to set the toilet. Set the toilet, tighten down the toilet bolts. Whipe the excess caulk or plaster with a sponge and hot water. That's how you get that smooth look, the water must be hot. Hook up the water supply and you have a new toilet.